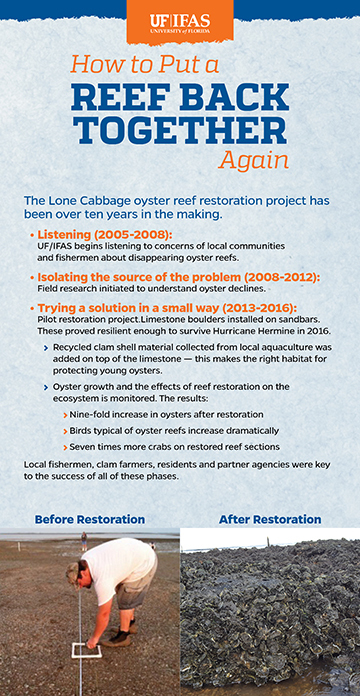 The Oyster Reef display panels were created to be showcased at the recent UF/IFAS Nature Coast Biological Station Open House. 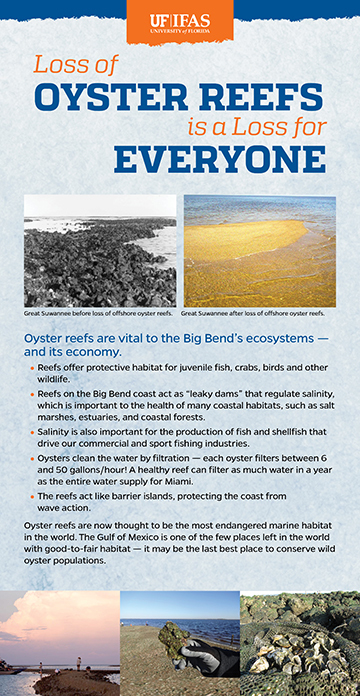 Dr. Peter Frederick worked with the UF/IFAS Communications graphics staff to create 4 – 30″ x 58″ posters. 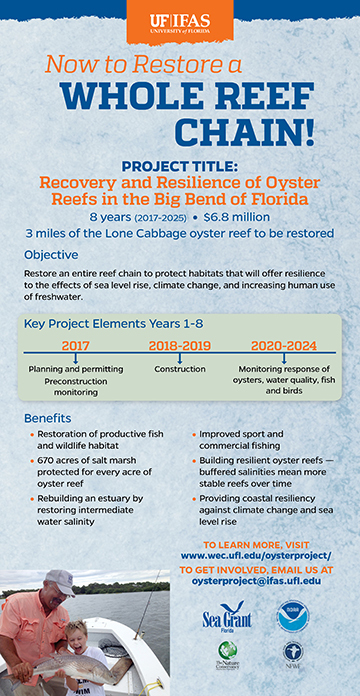 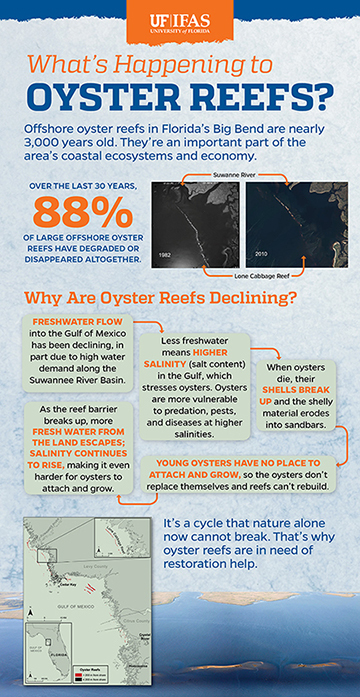 The intent was to give an understanding of how oyster reefs work, why they are important, what has happened to them, and the work UF/IFAS is doing to restore them in the Cedar Key area.